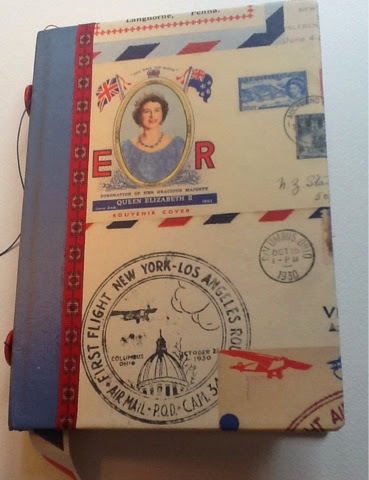 A friend helped me bind a journal for my upcoming trip to England. textured just enough for Watercolors. Another view of the Montlake Bridge from one of the walkways that border the Montlake Cut as well as a view looking toward the University Bridge and I-5 from Montlake Park. As Gail has already mentioned, it was nice to see some new faces and some great work as well. 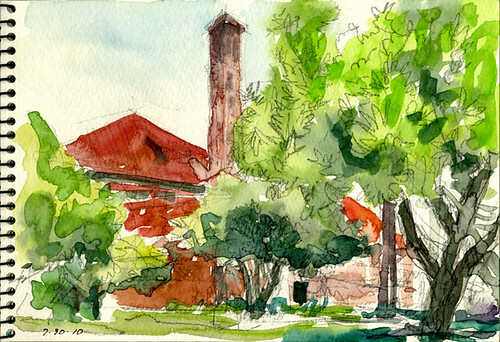 Click here for an article in a Memphis newspaper about the new Urban Sketchers Memphis. The crisp autumn air these days reminds me of the fresh chilly morning in Portland, USA. These are some sketches from the rest of sessions that I attended. In the session by Jason, we went to the union station and sketched some nature thing in the urban environment. This is a construction site viewed from the footbridge. In the morning, the sky was covered with thick clouds but all were cleared in an hour from mountain side. These are garden trees near the station. In the session by Gabi, we went to Pioneer Square and we sketched about what was going on at the site. 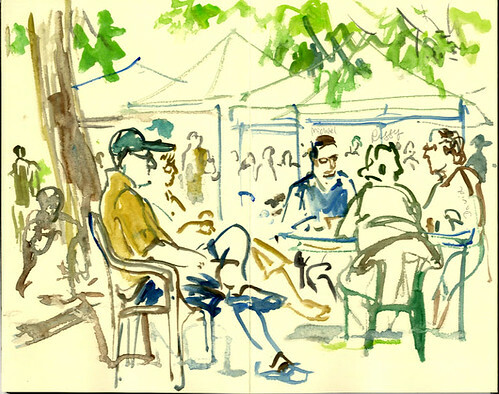 This is a reportage: Urban Sketchers were everywhere in the square. In the foreground, middle ground and background there they were! 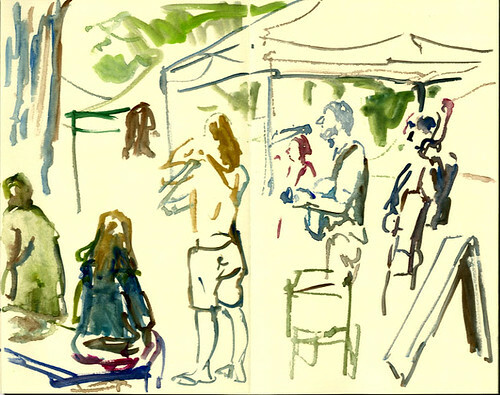 In the session by Isabel, we went to Farmers Market and kept drawing people there. We even drew people in the streetcar on our way to get there. People come and go, stay and move. What ever the situation was, I just focused on capturing their posture as much as I could. As to some figure, I just managed to draw head and some are upper half of their bodies. I didn't intend to finish or complete the figure. These are done on the large-size Japanese notebook includes an Urban Sketchers logo embossed on the cover: one of the generous souvenir from the symposium. Here again I would love to thank to all the people who made this happened. 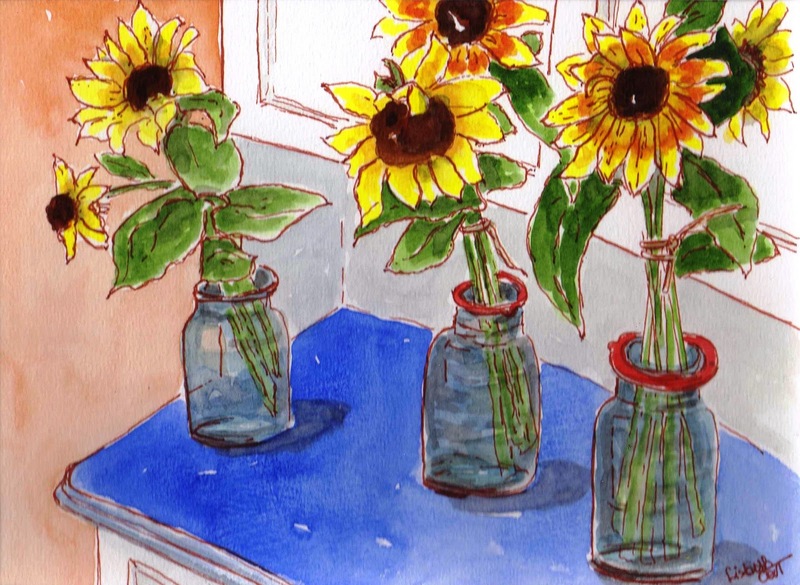 To your effort, friendship and blog on USK. 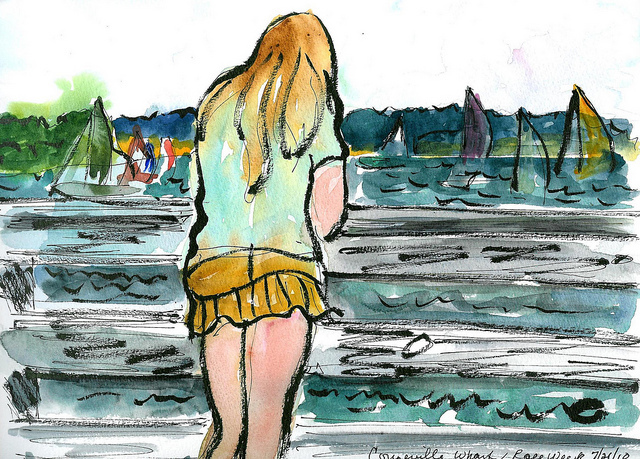 ﻿﻿﻿Three members of the Whidbey Island Sketchers participated in the Portland symposium this summer. We're just sure that our new-found and better-honed sketching skills gained at the symposium helped lead to an invitation for the first ever Whidbey Island Sketchers Group Show that opened on Monday and runs through the month of October. Ranging from novice to professional artist, symposium participants Faye Castle, Lisbeth Cort and Sue Van Etten are 3 of 14 island artists whose sketches appear in the group show. We're not "urban" but we sure loved capturing the character - and characters - of this place for the show. 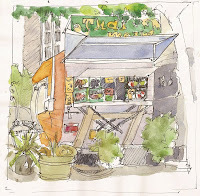 It's what Urban Sketchers is all about and was highlighted so well in a recent newspaper article entitled, "Whidbey Island Art Group Embraces Camaraderie Through Craft". We thank symposium instructors and fellow symposium participants for your advice, constructive (and gentle) criticism, and encouragement. We invite you to visit the show if your travels take you to a big island in the middle of Puget Sound just north of Seattle, WA USA this month! And thanks for our great memories of the 1st International Urban Sketching Symposium! Hope to see you next year. The symposium was the apex of a very busy summer. It's taken until now to scan sketches done during and since the sketchers feast. And I'm definitely still digesting. It was a wonderfully enriching event and I thank all the instructors, correspondents and participants. 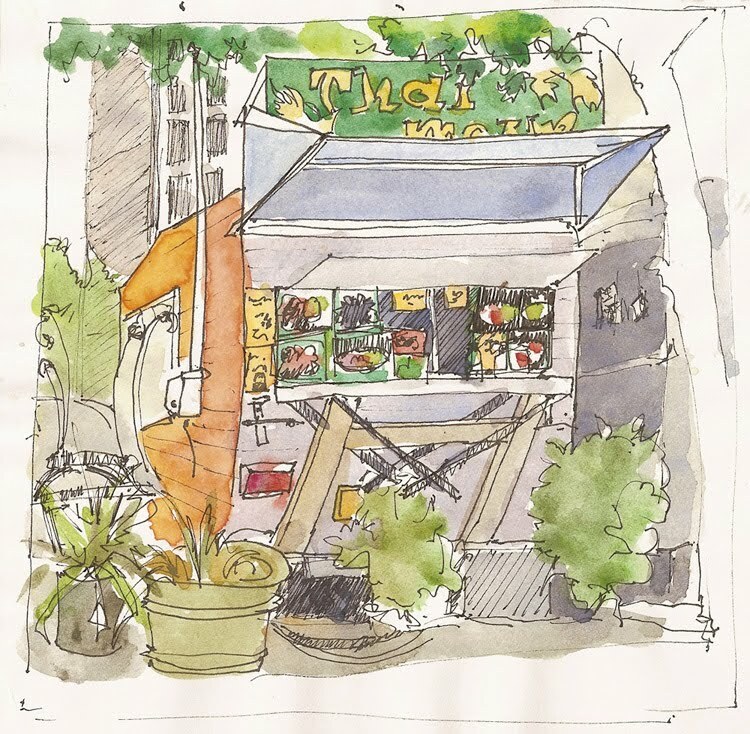 We went to the food carts for our urban colors session. 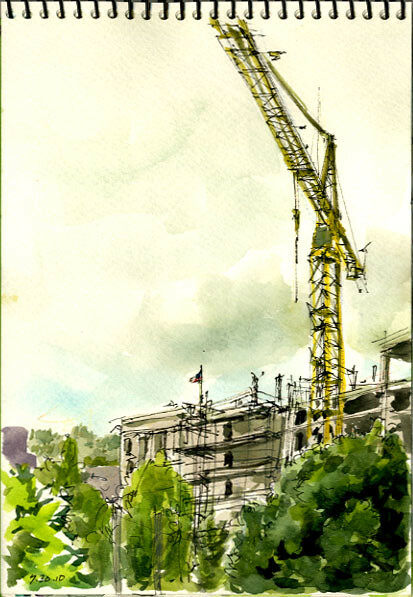 In late July of 2010, the city of Portland, Oregon (USA), became a canvas for drawing enthusiasts from around the world as Pacific Northwest College of Art (PNCA) and Urban Sketchers (USK) hosted the 1st International Urban Sketching Symposium. The three-day event attracted participants and presenters from diverse corners of the world. In addition to the U.S., other countries represented were Australia, Belgium, Canada, Mauritania, Italy, Japan, Singapore, the Dominican Republic and Spain. The program consisted of lectures, panels, exhibits and field sketching sessions led by a diverse team of international presenters with backgrounds in art education, architecture, illustration and journalism. This blog documents the experience since the Symposium was announced in March. A selection of photographs from the event can be found in this flickr collection. Sketches produced by participants during the event can also be seeing on the Symposium flickr group. We'll be observing the 28th World Wide SketchCrawl on July 31st, the third day of the Symposium, in addition to the scheduled program. 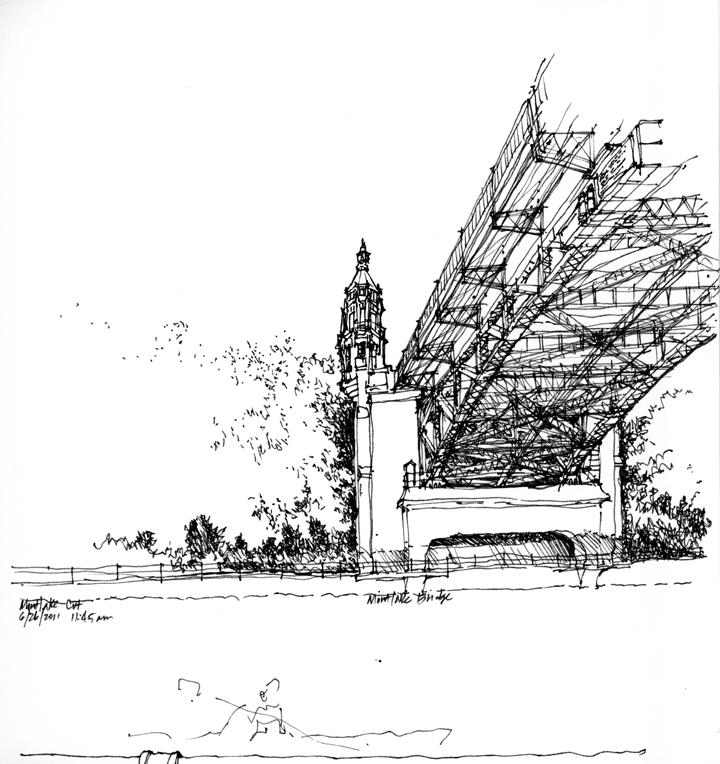 The global sketching marathons were started by San Francisco artist Enrico Casarosa in 2004. It's a day when people across the world get out to draw wherever they are. 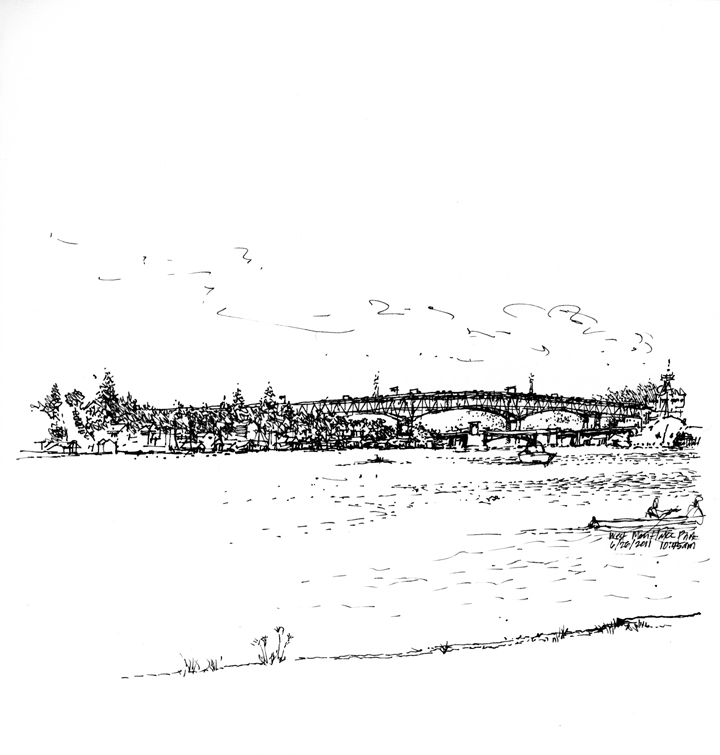 Visit the SketchCrawl Forum to arrange sketching meetups in Portland and elsewhere.